Thanks to Jacinta-Yoga for this fact filled video that is easy to understand and relate to. It explains much that we already know but puts it into perspective in a concise way. The animation shows us how helpful it is to review our relationship to the Tripe Cs: Commitment, Control and Change. Good options are presented and this is a great video to hold in “Feel Better Toolbox.” Perhaps a good thing to share with students….Best Wishes….Namaste. B M Hegde – The New Science of Man – TEDxCharminar – YouTube. Thanks to Friends Priya & Uday in Paris, France for sharing this video with Professor Dr. B. M. Hedge. Quite captivating and informative video made by TEDx in Hyderbad, India. When Hedge says, “…listen to my every word, if you miss one you will miss the bus…” I put on my super-listening ears and was not disappointed. Listening to his talk which he seems to give right off the cuff, something he knows with every fiber, I wondered about his background. I ‘Googled” his name to find he holds at least 10 medical degrees from institutions in: London, Dublin, USA and India. The list of Awards is endless. Why I find this of value is because with all of his medical knowledge and experiences he credits health to be best when attended to on the conscious, spiritual, holistic and natural ways. Please do give a listen and if you might have a little trouble with his accent, try listening a few times, this is quite valuable information. He says it’s about a holistic understanding of our own being and taking care of it with this knowledge. Much information is around about holistic lifestyle but it just hits home when a learned, experienced, medical professor speaks with such passion about health and well-being as rooted to: living a humble life, harnessing consciousness, eating healthy, living simply and to do something good for others as the basic tenets for overall health. What an endorsement for yogic lifestyle! Please share this with others, just click the link below the picture of Nataraj to view the video, and stay in the Dance of Life, Namaste. I mentioned in last week’s post about staying cool during hot weather to take coconut water. We see it in all the health food stores and even supermarket chains nowadays. Why are folks buying this stuff up? Well it has quite a few benefits: it has a mega dose of potassium which is great for our hearts and blood pressure. It is low in calories and no fat or cholesterol. We see it packaged in our stores nowadays and it is a good way to keep the interior organs able to adjust to heat, so usually perspiration is lowered which is an aid in summertime. Do know the packaged products are lower in benefits than the actual tender coconuts. Most Asian produce markets and some good health food stores will carry the actual green tender/young coconut or open them to their white inner shell. If you are living in a part of the world where these tender coconuts are shipped in do try to have some as the benefits are higher. Tender coconut water is a diuretic. The palm tree root’s absorb nutrients from the soil; metabolizes and stores the nutrients in the coconut. 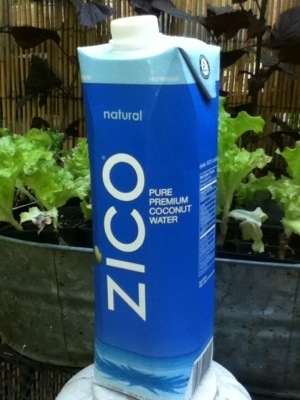 The coconut water contains: sodium, calcium, potassium, phosphorous, sulphur, silica, magnesium and B complex vitamins. The live tender coconut water when ingested regularly will have a noticeable clearing effect on the complexion. Do know that the vitality diminishes with transport and the longer it sits it becomes less vital. When able to find tender coconuts locally harvested do know its benefits are such that a sickly person may be fully replenished with the peak amount of electrolytes aiding their recovery to renewed health. In the USA, PepsiCo owns O.N.E. and Coca-Cola owns Zico from what I could find today online Vita Coco remains independent. That’s the Coconut Water Deal….whether you choose this, other natural products or water do stay hydrated and well, OM. ▶ Aye hain Savare by soundsofisha. Once again Sadhguru shares his Mastery as A Living Master & Teacher…. Sadhguru Jaggi Vasudev on Kashi – YouTube. I have been blessed to be able to study in Varanasi, the Science of Hatha Yoga, Classical Indian Hatha Yoga at Benares Hindu University, BHU. From long before I arrived in Benares I had longed to go there. I never questioned where this longing originated or why. When events began to fall into place I could sense the blessing coming together as droplets. Once en route it was a journey filled with mystery from the first encounters on the airplane to leaving the night train at Varanasi station at 2 AM. Constantly bombarded with life as I never could imagine but with full acceptance and an absolute understanding that was immediate all at once. For many years I continued my studies in Varanasi for six-week durations with my Beloved Teacher Dr. K. M. Tripathi, his Family, his BHU, and I felt at ease with being captured in this manner. But I could never explain anything in my language, or any other manner of communication about the magical aspect of my experiences. Yes, I could transmit from my studies, the Classical Yoga I was being trained to teach, but not much beyond that it was a more valuable, enriching yogic study far different from my USA training. This training in Indian Classical Hatha Yoga is what has made me very confident of my teaching not with any arrogance but with respect for receiving a tremendous Blessing that I am obligated to share. P.S. Important mentions to Dr. Alakananda Mukerji and her Late Father, Dr. Rajendra Nath Mukerji for helping to arrange for the introductions for my studies at Benares Hindu University, Varanasi, India.